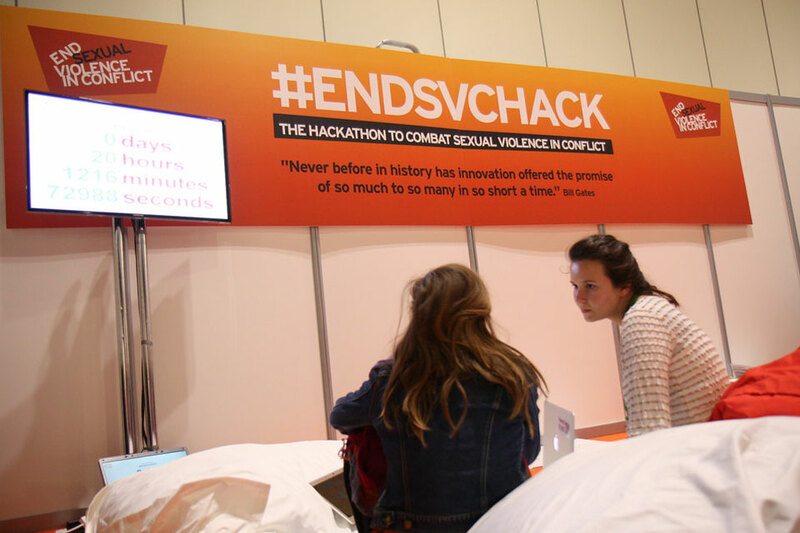 Hackathon on technical solutions to help combat sexual violence in conflict. To improve international strategic co-ordination. Over 3 days, participants generated ideas for the most useful solutions and then worked in six small teams to turn those ideas into prototypes. They then presented the ideas to a high-profile judging panel. The judges selected “The Promise” as their winning choice, a proposed application to help sexual violence survivors of the Syrian civil war find assistance and protection. An online vote selected “Seekr” as the “people’s choice”, a proposed database to help NGOs find missing people drawing on facial recognition. The two entries will receive seed funding from the Dutch government allowing them to be developed further. All the solutions developed at the hackathon will also be available under an open license for NGOs and Charities. This was the second hackathon hosted by the FCO, following one in January 2014 which produced possible apps to support FCO objectives and advised on how we can improve the data we release. The Dutch and Swedish Government have also held a number of “Diplohacks”. Visit the End Sexual Violence in Conflict Hack website find out more about the hackathon and the ideas that were developed.